I am passionate as you can guess from this site about understanding the culture in which we live. Why? Because how we live out our faith, how we do mission and how we live as the people of God is deeply tied to our interactions with our culture. To communicate the good news of the gospel to our world intelligibly, we must understand our times if we are to speak with freshness and vitality. The picture on the left was painted by Claude Monet. He was one of the group of painters known as the Impressionists. When people first saw his paintings at the end of the 19th century, people could barely believe what they were looking at. Monet and his friends captured the spirit of the day perfectly. They painted with feeling, Monet seemed to capture the essence of light on a landscape. They managed to paint in a way that was cutting edge, which captured the cultural moment in time, which spoke to the first generation of modernity. Monet put onto canvas how young people were feeling about their world. Put quite simply, Monet’s paintings were so vital and so relevant, they caused a cultural sensation, they changed how we see art and think about the world. 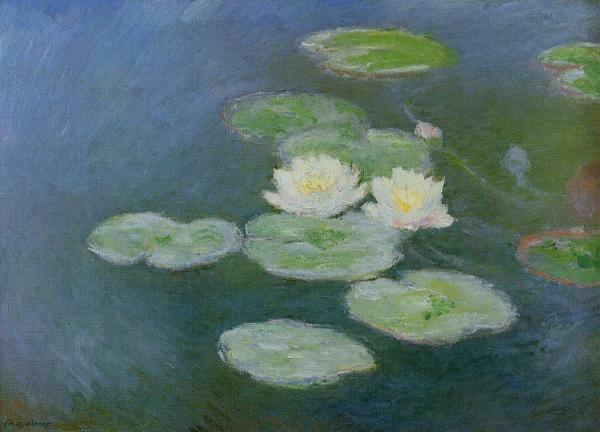 However Monet did not adapt. He kept painting the same paintings of landscapes and nature. The world around him began to change. Monet presumed that what spoke with power and relevance yesterday would speak with the same force today. The picture that you can see was painted during World War One. As Monet painted in his studio, he could hear the guns pounding the battlefield in the distance, as thousands of the young men died in holes filled with mud and blood. Trains would pass his country house, rattling his studio. They were filled with the generation he had inspired going to fight in the trenches of France. The world had changed, no longer did people feel excited about the future, they felt confused. People did not want pretty pictures of flowers and fields. Yet Monet kept painting the same paintings, yet a horrible irrelevance hang over them now. The world had changed. Monet had stayed the same. The same danger always lurks for Christians. We cannot pay lip service to understanding our culture. We need a whole new generation who will watch, listen, keep their ear to the ground. We need Elijah’s and Isaiah’s for a globalised MTV world. The gospel remains the same, but how we communicate it changes, what worked in 1790 probably won’t work now, what worked in 1923 probably won’t work now, even what worked in 2000 probably won’t work now. If you want to speak good news with freshness, vitality and impact, first open your eyes and ears to the world around you.